For the second straight year, Gov. Phil Murphy promised no fare increase for beleaguered NJ Transit riders in his state budget address, as long as the legislature passes his proposed fiscal year 2020 budget. “Last year, commuters were spared a fare hike. 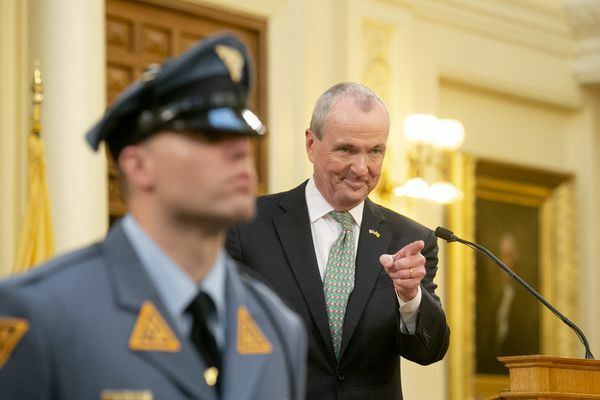 And, if we pass this budget’s investment, there won’t be one this year, either,” Murphy said during his speech Tuesday at the Statehouse in Trenton. Murphy name-checked NJ Transit 14 times in the speech as he laid out his second state budget proposal. There was a pro-public schools protest at the State House to coincide with the governor's address. Before Gov. Phil Murphy presented his fiscal year 2020 budget yesterday, the scene outside the State House belied what would come inside. Dozens of placard-carrying students and teachers lined the sidewalk, doing their part to make sure that a pro-public school message would carry the day. And indeed, Murphy proposed in his $38.6 billion budget an increase in state aid to districts by $206.2 million and another $68 million for preschools, continuing a trend from his first two years in office. Overall school aid is by far the single biggest piece of the budget, now amounting to $15.5 billion. And maybe the best news for schools is there seemed to be general agreement between Murphy and the Legislature’s Democratic leadership, with Senate President Steve Sweeney even saying afterward that there may be more money to come. TRENTON — Gov. Philip D. Murphy of New Jersey, a Democrat who won a decisive victory two years ago by promoting a progressive agenda, wants to raise the income tax on those making more than $1 million to help pay for what he says are some of the state’s most pressing needs, including expanding preschool and making higher education more affordable. 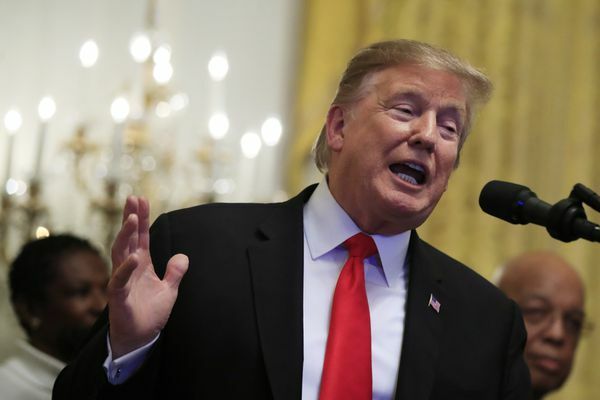 President Donald Trump announces an initiative against poor women. California Attorney General Xavier Becerra said Monday that the state filed its own federal lawsuit in San Francisco that aims to block a new family planning rule from the U.S. Health and Human Services Department. Opponents of the rule say it would shift millions of dollars from Planned Parenthood to faith-based family planning organizations. Twenty states and Washington, D.C., said they would sue separately Tuesday. The states are: Colorado, Connecticut, Delaware, Hawaii, Illinois, Maryland, Massachusetts, Michigan, Minnesota, Nevada, New Jersey, New Mexico, New York, North Carolina, Oregon, Pennsylvania, Rhode Island, Vermont, Virginia and Wisconsin. Gov. Phil Murphy will put forward his budget proposal for fiscal year 2020 tomorrow during a joint session of the state Assembly and Senate in Trenton, marking his second time to give lawmakers a fiscal-year spending proposal. Last year, there was almost a government shutdown as Murphy, a Democrat, had trouble convincing fellow Democrats who control the Legislature to enact a series of new policies ranging from new taxes to increased aid for community-college students. 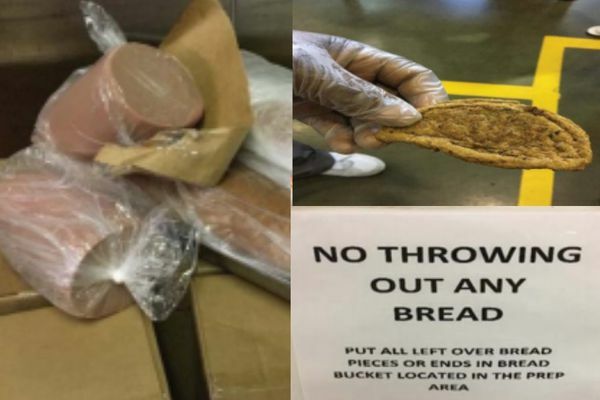 Federal officials panned Essex County Jail for health and safety violations, including "unrecognizable" burger patties, spoiled meat and moldy bread saved for pudding. Joe DiVincenzo really blew it. Turns out that while the Essex County political boss was hosting lavish retreats in Puerto Rico, he was even scrimping on moldy bread for immigrants, in the jail he runs in Newark. And lying about it. Days after his jail flunked a surprise July inspection by the feds for serving nasty spoiled food, harvesting colonies of mold in living areas and hushing up security breaches like a gun left in a bathroom, “Joe D” called us to say everything was great. A man was dumping massive piles of trash under a N.J. highway, A.G. says. Now he faces years in prison. New Jersey Attorney General Gurbir Grewal speaks to a reporter at the site of an alleged illegal dumping operation underneath the I-78 and Route 22 overpass in Newark, NJ on February 28, 2019. It was a million-dollar mess, and now it could send a man to prison for half of a decade. New Jersey Attorney General Gurbir Grewal announced Thursday the indictment of Abdullah Bryant, a 40-year-old Newark man who allegedly spent more than a year illegally dumping huge amounts of solid waste underneath highways in the city. Bryant allegedly collected, transported and dumped more than 100 cubic yards of solid waste at a site owned by the New Jersey Department of Transportation underneath the I-78 and Route 22 overpasses between Frelinghuysen Avenue and the Northeast Corridor Rail Line in Newark’s East Ward. Grassroot groups formed in response to the 2016 presidential election. Others came together to try to flip House seats, or to advocate for issues they thought would be imperiled by Trump and to get the word out about what is going on. And some are also working to get rid of Trump. But here's the bottom line: They're still at it, demanding change in New Jersey to deliver what they believe would be a more representative and just democracy. The groups have loosely organized as the Coalition to Restore Democracy, and they are calling for what may sound like simple reforms. These include a call for making proposed legislation available to the public at least 72 hours before any committee hearing or vote; a set of uniform ethics and public records rules across all branches of government; and an end to the awarding of the “party line” that gives candidates anointed by Democratic and Republican leaders an edge in primary elections. As hundreds of legislators, lobbyists, and business executives gathered in Newark Thursday morning to board a special train for the state Chamber of Commerce’s annual Walk to Washington, about a dozen activists protested for the need for reform. Those who crowded on the train schmoozed, then attended receptions and a dinner with Gov. Phil Murphy and the state’s congressional representatives. The train will bring everyone back on Friday. New Jersey may soon become the latest state to provide private-sector workers with a way to save money for retirement when their employers don’t offer such benefits. A bill that lawmakers sent to Gov. Phil Murphy earlier this week would set up a state-sanctioned retirement-savings fund that would work like an IRA for most private-sector workers. The state — which has a dubious record when it comes to managing its public-employee retirement funds — wouldn’t be responsible for providing matching dollars or directly handling investments on behalf of the workers. Instead, the bill would establish the parameters for a private firm to manage the savings accounts. It would also mandate an automatic payroll deduction that companies with at least 25 employees would have to furnish to their workers if they don’t already offer a retirement-savings benefit. From gridlocked highways to slashed home values, a new report from the Regional Plan Association paints an ugly picture of what New Jersey and the rest of the region could look like if a major Hudson River rail-tunnel project remains unfunded. Mass-transit advocates have long warned that conditions inside the existing, 108-year-old Hudson River tunnel that connects New Jersey with New York are deteriorating, but they’ve largely focused on how emergency repairs would cause disruptions that could significantly impact the lives of some 200,000 commuters. The new report from the RPA — a think tank that backs plans to build a brand-new rail tunnel — adds to that grim portrait by showing in stark detail how just a partial shutdown of the existing tunnel could impact everyone in the New Jersey-New York region, including those who never get on a train.